What do you do when you don’t have enough fabric for a project or find that your fabric is too narrow (which in my case was a narrow 36 cm wide Kimono fabric). Well, you alter your patterns based on the main fabric and use an accompanying fabric to make the rest of the pieces up. This was what I had to do when I wanted to make a vest for summer but found that I didn’t have enough of the silk Kimono fabric that I bought last year. While rummaging through my stash of fabric, I found that I had some off-cuts of mesh and instead of throwing it away, I used that to supplement the Kimono fabric. Adjusting the pattern was very easy as I decided that the Kimono fabric will be placed in the center panel while the side panel will be made of the mesh. 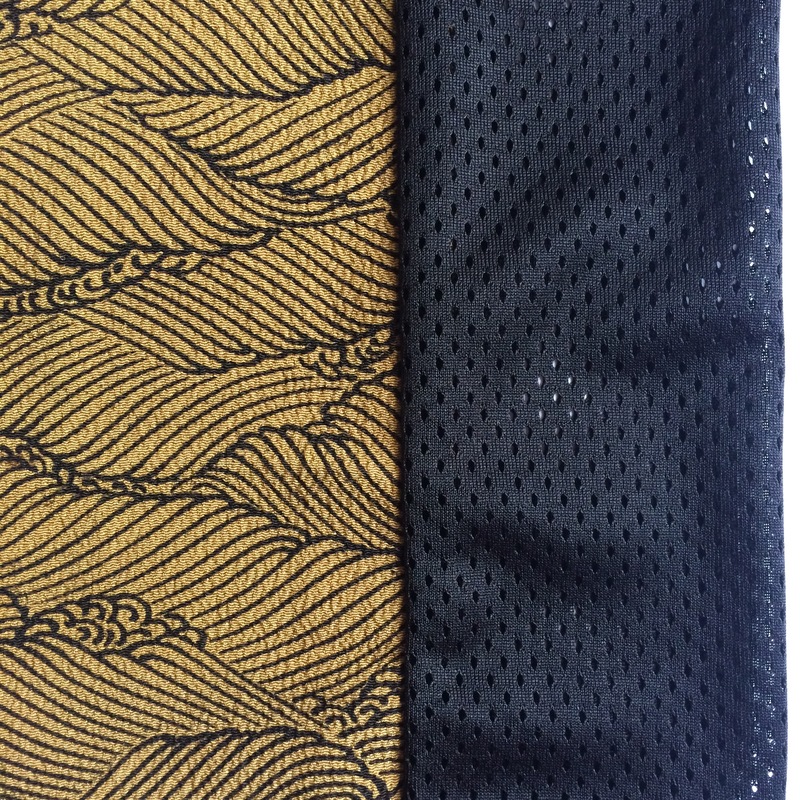 Because I placed a seam line where the Kimono fabric and mesh would meet, I could eliminate the side seams. As the opening was wide enough to pop my head and arms through, the edges of the vest was finished off with a narrow bias binding. No ribbing was required for this project. In total, this vest took me a few hours to complete from altering an existing pattern to sewing the garment up. Cutting the fabric up was extremely easy as the central panel of the pattern was based on the width of the Kimono fabric. This meant that I only had to cut the neckline, armhole and hem. The side seam was the actual selvedge of the fabric and did not require any cutting. 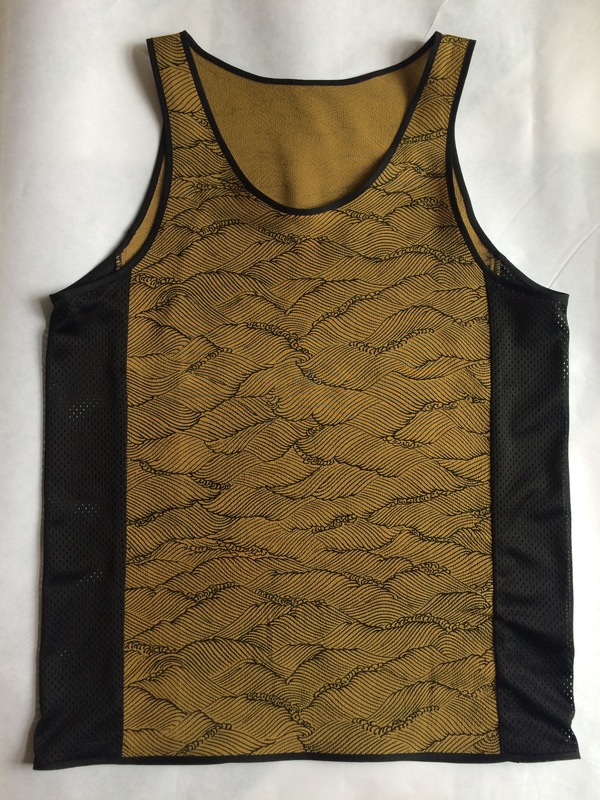 This vest has a very sporty element to it probably due to the mesh but the feature is definitely the Kimono fabric. 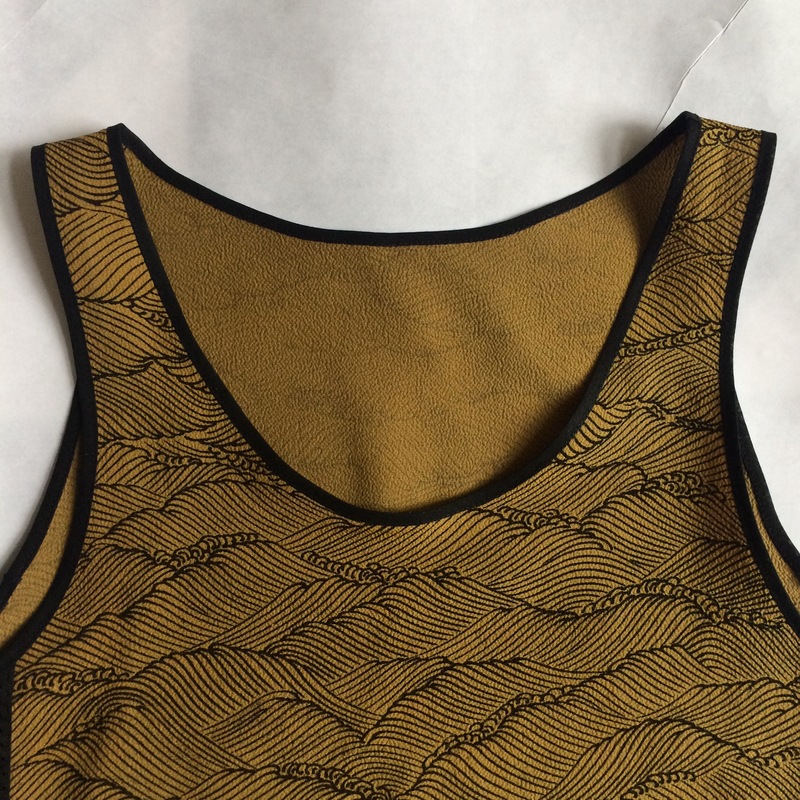 This little experiment also meant that I can expand on the design of this vest; for example, the Kimono fabric could be extended in the front and the back to leave it trailing while the side panel stays at the original hemline. I could also leave the Kimono fabric uncut, folded between the legs as it extends down from the original hemline. There are so many ways of proceeding with this original design now and strange enough, it all began with a constraint in the fabric. Lesson: There is always something positive in the midst of something negative! This is gorgeous! I love that kimono fabric, it’s just stunning. What a great top to come out of it too. The mesh pairs really well with it.